Cincinnati is in need of a cultural and economic renaissance. 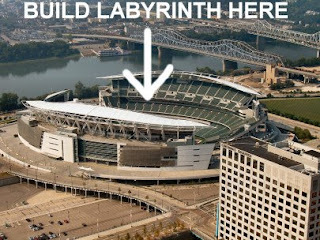 By signing this petition, you express your commitment to the notion that by selling the perennially unsuccessful, infuriatingly mediocre Cincinnati Bengals football franchise and erecting a complex, state-of-the-art stone labyrinth in Paul Brown Stadium, all Cincinnatians would experience both fiscal and cultural growth. We at the Cincinnati Labyrinth Project are a deeply committed bunch, so you may rest assured that we will work tirelessly to bring this wonderful proposal to fruition. Do it for Cincinnati! Do it for labyrinths! I urge all of you to read the blog carefully, very carefully. When people ask me “What do philosophy majors do with their time after they are out of school?,” I now have something to point them towards. As the mission statement says, do it for Cincinnati, do it for Labyrinths! 3. You need to train yourself to believe that the world cares about what you have to say. 1. More daily entertainment for you. That’s a good thing, of course. 2. Annoyance that I had to write that much. Funny thing is though, it was entirely my own doing. 3. A lack of things to write about. I was really stretching at times towards the end. Stretching for subjects is hardly enjoyable. But let’s move past this and talk about something, something that I’ve ranted about many-a-night to my friends while imbibing a few cocktails. Some claim its funny when I get ranty, but I have a hard time believing that. Either way, let’s talk about venues, as in we don’t have one where there should be one. Brace yourself kids, this could get long. Think of the concerts you’ve been to in the past few months. Where did you see them? If you are like many people, Midpoint notwithstanding, you were at one of the bars in Northside, Southgate House or (shudder) Bogarts. In the past few years the amount of venues has dwindled drastically. With Top Cat’s, Alchemize and Sudsy Malone’s closing, the city was left with a great deal fewer places for bands to play. Thankfully Northside Tavern recognized this and opened up the beautiful back room. But I want to propose to you a different kind of venue. As Cincinnati concert-goers there will most likely be some things about this hypothetical venue that you won’t like, but hear me out. Oh neat! The proposed CAM expansion…. Posted in Architecture, Be a Good Citizen, Cincinnati, Design, LIFE! Let’s look inside…The Emery Theater! I was so disappointed that I wasn’t able to join in on the “Save the Emery” project that happened in late July. Run by Give Back Cincinnati, the project aims to gussy up the somewhat rundown and forgotten Emery Theater contained within the Emery building located at the corner of Central Pkwy. and Walnut. Many people aren’t even aware that when they are going to get coffee from the Emporium there is a beautiful old 1300+ seat theater right in the same building. There were really two reasons I wanted to get in on this. 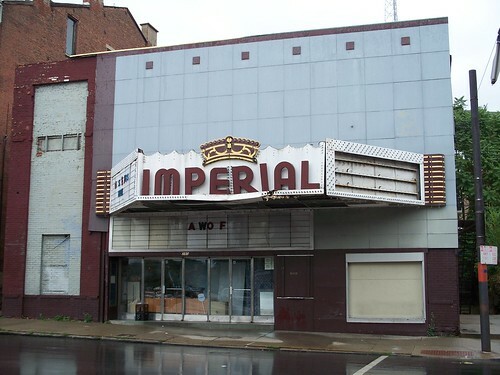 First of all, I would love to see this theater return to operation. It’s place like these that give a city its character. Older buildings and classic structures like this become a rarity as you move further across the country. In Seattle, for example, buildings were rarely rehabbed due to compliance with earthquake codes. Rather, because I assume it was cheaper, old buildings were torn down to make way for less attractive, hastily built newer structures. Cincinnati has a surplus of these type of old theaters, warehouses, row-houses, store-fronts, etc. Volunteer projects like this, held on a regular basis, are exactly what the city needs. Give Back Cincinnati says they had at least 100 people there lending a hand, proving that many people are as interested in lending a hand in this type of thing. I hope by now it has become clear that this blog is kind of a catchall. I’ve found it easier to blog about whatever happens along my mind-grapes on any given day, or hour as the case sometimes is. 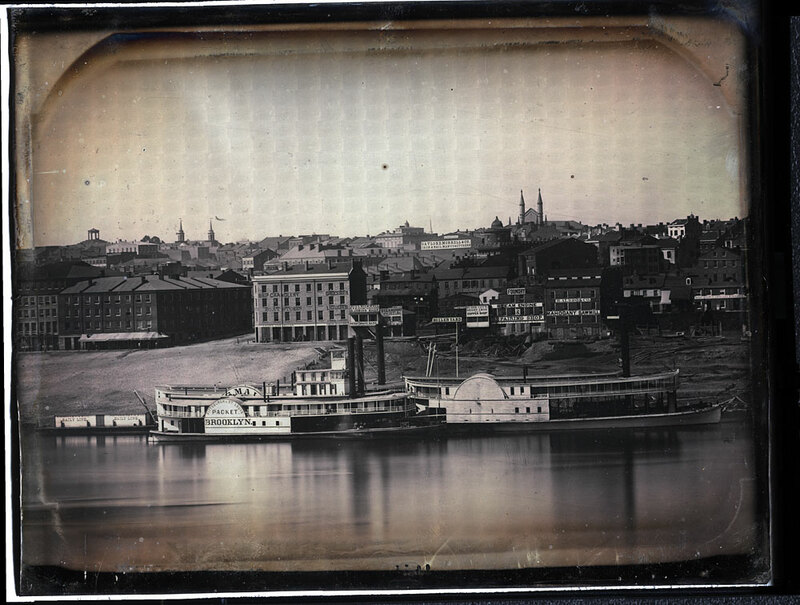 I also am hoping that you, the reader, has been able to tell that one of my primary focuses for the blog is highlighting Cincinnati. I’m aiming to hit everything from people and places to the more existentially abstract bits about living here.